When we consider the number of burglaries that occur in the United States, we find they fall into the millions every year – 2 million to be more exact. While the figure for Australia is lower numbering around about one quarter of the US figure, it certainly is on the rise and every effort should be made to render homes safe. At Complete Alarms, we are intimately familiar with the types of alarm systems that can turn your home from a burglar target to secure abode. Even before you get a security system (and we advise that you do at some stage), you should pay heed to some of the hints that have been provided by burglars themselves; burglars who have confessed how they actually do their thing. Most surprising is the fact that the main intrusion into homes is through open doors into which burglars nonchalantly enter and rob at will. It is therefore imperative that doors should never be left open while you are at work or while you are in another part of the house. Most confessed they walked past a house, saw an open door or window and popped in. It appears that fences are no deterrents to burglars. In fact they say they prefer really tall fences as it gives them a place in which to hide. Radios and lights that are left on all night are a signal to thieves that no one is in the house but some admitted that a dog barking was more disturbing than a tall fence. This is a logical admission since a silent fence doesn’t present a huge problem to thieves whereas a barking dog will attract attention not only of your household but your neighbours as well. So get a dog but don’t leave your lights and radio on all night. So long as the movement of a robber doesn’t appear suspicious, the neighbours won’t take any notice. And this is what normally takes place. 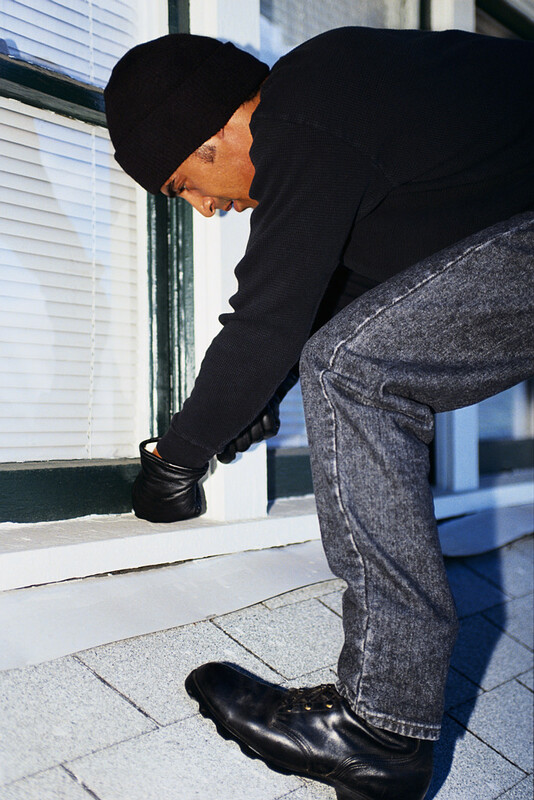 The burglar usually escapes notice by nipping into a house without anybody inside. They are reluctant to rob a house where a lot of neighbours are up and about in or outside their own houses and there are people moving about in the targeted house. The point here is that movement and activities that occur in homes do in fact act as deterrents to thieves. So if you are going away for a time from your house, make sure that there are always people doing something in your house. If you want more assistance and information about burglar behaviour, ring us on 02 8011 3882 and we will render you our assistance.